Living Labs are User Driven Open Innovation Platforms where stakeholders have formed a Public-Private-People-Partnership (PPPP) of firms, public agencies, universities, institutes and users all collaborating for creating, prototyping, and validating new service-products and societal infrastructures in real-life contexts. Currently 370 Living Labs are grouped under the European Network of Living Labs (ENoLL). The GNSS Living Lab Prize will reward one or more winners with the opportunity to conduct a “reality check trial” in a suitable Living Lab along with relevant user communities and potential future customers. The winning innovator(s) will benefit from the chance to validate their idea, conduct user-oriented engineering of their product or service, develop their entrepreneurial team, and intensify their network of industrial relationships. Furthermore, the winner can also access tailored E-GNSS Accelerator business support worth EUR 62,000 (if eligible). Digital spaces are digital, virtual, or computer-generated worlds, but also the spaces in which we live and use digital media, communication devices, gadgets, etc. The Digital Spaces Living Lab (DSLL) in Sofia, Bulgaria, was founded in 2008 to support industrial and academic partners working in the field of new digital media technologies and location-based services (LBS). 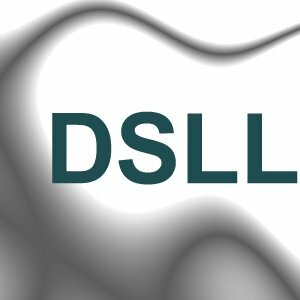 DSLL provides a creative environment for research and innovation, as well as new forms of direct user involvement in the innovation process. Since 2008, DSLL has been an active member of the European Network of Living Labs (ENoLL). DSLL has taken part in many research, innovation, and industrial projects in Europe and has carried out numerous large-scale technology validation trials for clients in the last 9 years. In 2012, a new section of DSLL called KidsLab@DSLL was created, which focuses on interactive ICT and digital media education and games for children. DSLL is currently one of the partners in the WEAR Sustain (Wearable technologists Engage with Artists for Responsible Innovation) EUR 3 Million project, funded by the EC Horizon 2020 research and innovation programme. UL-LUTIN is a Living Lab based on a “userlab” platform for usability observations and experiments. It is currently under the supervision of Université Paris 8 (the university’s main institution), UPMC-Paris 6, UTC-Compiègne, and Universcience. The Cité des Sciences et de l’Industrie, meanwhile, is the biggest science museum in Europe and home to a panel of over 1,500 dedicated individuals available to participate in observation and innovation. New products and services being co-innovated by researchers, companies, and individuals constitute the focus of their work.